Also he gained the second position in the Open class of the “Bol d’Or” 2006, for the Endurance World Championship, with Triumph Daytona 675. 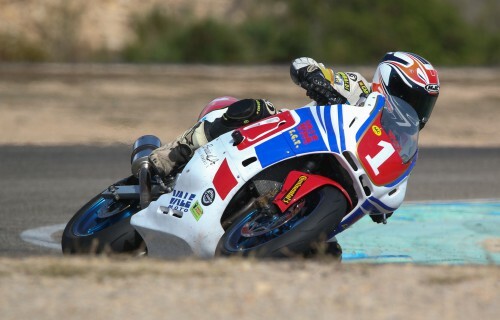 Right now he continues racing at the Catalonia Endurance Classic Championship, and he won the last two championships. As an organizer, he was the Sports Director of the first Championship in the World of the BBQ Series, with the Buell 1125 and Harley Davidson XR 1200. Besides showing the best roads of Catalonia and Spain, (thanks to the collaboration of the dealer Ducati Barcelona) he continues testing motorcycles for the magazine Solo Moto, works as an instructor at Fastparcmotor, as a precision driver for Carshooting 111, and he is the only spanish person who tested all the MotoGP motorcycles of 2003. Overtake is a service company specializing in events, communication companies and motorsport. It has a long tradition of organizing motor sports events; making sure to offer a plus of experience, professionalism, and logistical support with this type of services. Some photos from events, races and tours with Albert Escoda.